I am blatantly house proud. There, I have said it. From hunting for rare finds in flea markets to creating pieces from things that one would otherwise ignore – my style has been a matter of creating a meaningful canvas for stylish living. For me, a home is an eclectic space where personalities thrive and a collective aura comes into play. Find out more about the varied elements of my home. 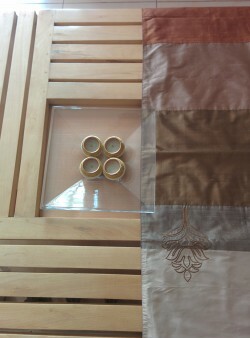 Set around golden hues, with a strong earthy tone, I have ensured that the home has a light weight feel. 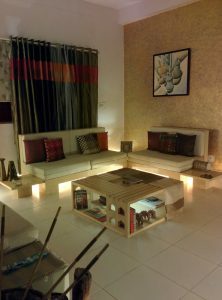 I aimed for a lounge like setting with low seating and surprises in terms of the lighting. 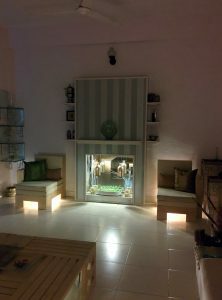 Various fabrics and art work have come together to create an art installation style setting, even as the fireplace (a portable unit) comes in to give a homely touch. I sit here often and read books in the evening, taking in the warm glow around me. My love for colonial touches also comes through in the brass lamps even as I have recreated a hill side cottage theme with plenty of luxurious and understated touches! 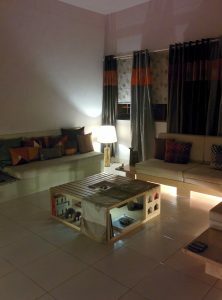 Follow this blog to watch the rest of the home and its story unfold! Loved the flow and content of your writings.While I could relate to some, others inspired awe and appreciation. Made me want to read more.. Thank you so much – that makes me want to write even more! Appreciation is the greatest motivation. But your blog is not even in TOP 20 google’s search results.